On Saturday 14th January SYO have a local event at Whirlowbrook Hall & Gardens. This is the 4th event in the schools and newcomers' league. In addition to the normal white, yellow, orange & light green courses, we also have a green and 1 km sprint for experienced orienteers. More details here. 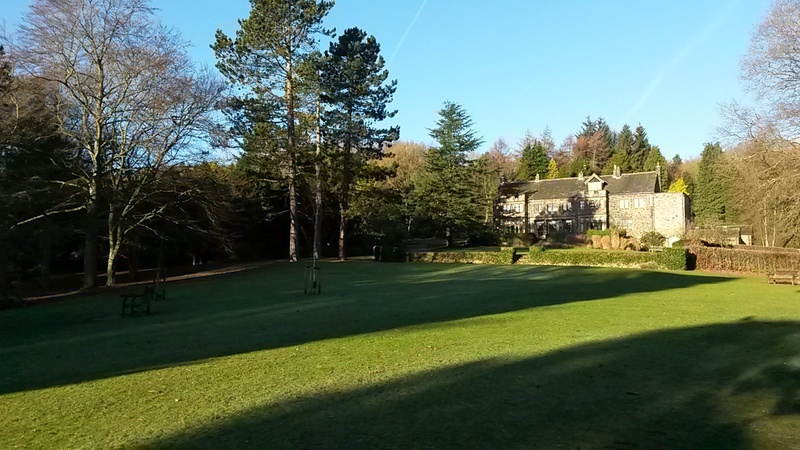 For those that don't know it, Whirlowbrook Hall and the surrounding gardens and woodland provide interesting and varied terrain for orienteering within a lovely setting. Registration and toilets are located within the hall and refreshments (soup, hot drinks & cakes) will be on offer from the catering team at Whirlowbrook Hall. Please support them as they have opened up the hall especially to us at no charge despite it being a Saturday. Normal start times from 1-3pm for all but adults are able to start from 12.30pm to avoid the queues. If anyone is willing to help, please email me, letting me know when you are available. Our next regional event is on Baslow Edge and Big Moor on Sunday 22nd January. The majority of courses remain on Baslow Edge, with the blue and brown courses extending to Curbar Edge & White Edge. This is a great opportunity to orienteer in a gorgeous location on challenging terrain. There are courses suitable for all ages and abilities. Car parking is above Curbar village and is adjacent to assembly with the start 250m away. More details here. We are still desperately short of helpers to fulfill the following roles - parking, start, finish, results, registration, road crossing & first aid. Please email me asap if you can help, detailing any strong job preferences and whether you would prefer to help first or run first.